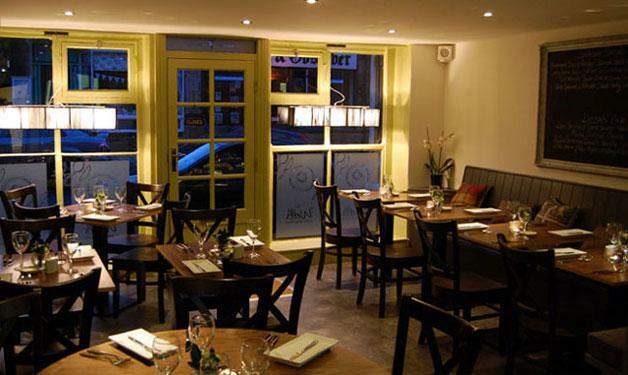 The Wells Cafe & Bistro is a fantastic and understated restaurant in Ilkley. s It was founded by Richard Horne, a passionate chef who’s worked at restaurants like the Box Tree, Monkman’s on the Grove, The Fleece in Addingham and the Devonshire Arms Brasserie. In 2008 Richard decided to embark on his own venture in the form of The Wells Cafe & Bistro – and to great effect. Since opening, they’ve created a brilliant reputation for their simple yet delicious menu of delicious food which includes everything from roasted pepper, feta and pinenut tart to Herb crusted local trout fillet – warm plum tomato, potato and olive salad. It’s also great value, with an early bird menu available to take advantage of. Their sample menus can be seen below. Add extras at 50p each. Cheese, plum tomatoes, bacon, mushroom, red onions, home roast ham, spring onions.